Mark Chapman provides reaction as new Villa boss Remi Garde watches his side lose 3-1 at Spurs. Mark Chapman and Danny Mills bring you reaction to Aston Villa's appointment of Remi Garde, and his new side's 3-1 defeat to Tottenham Hotspur. 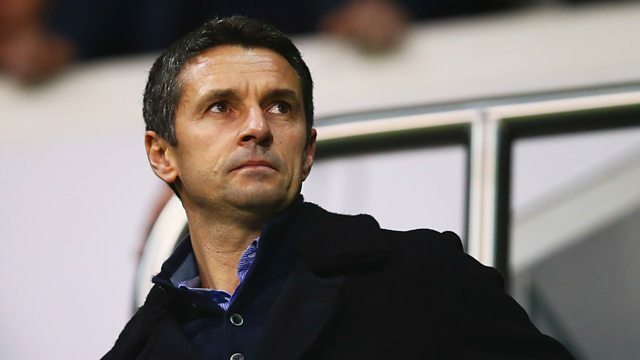 Former Villa manager Gerard Houllier shares the advice he gave to Garde before he accepted the job, and Aston Villa fans vent their frustration at the team's current plight. Plus, Danny has some very interesting comments about the level of respect shown by referees towards players, and Louis van Gaal has some home truths for the Manchester United fans.